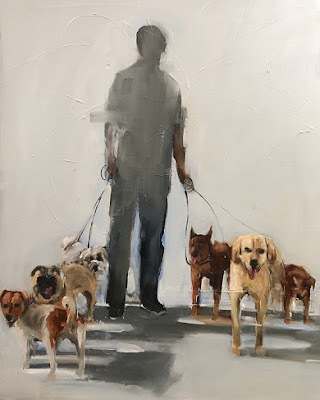 It’s A Dog’s Life is the title of an exhibition opening on Wednesday (May 23, 2018) at the Elizabeth Gordon Gallery. The group exhibition celebrates The Year of the Dog 2018 and features work by Nicole Pletts, Hussein Salim, Bruce Backhouse and Wim Rautenbach. It’s A Dog’s Life runs until June 2, 2018. The Elizabeth Gordon Gallery is situated at 120 Florida Road.